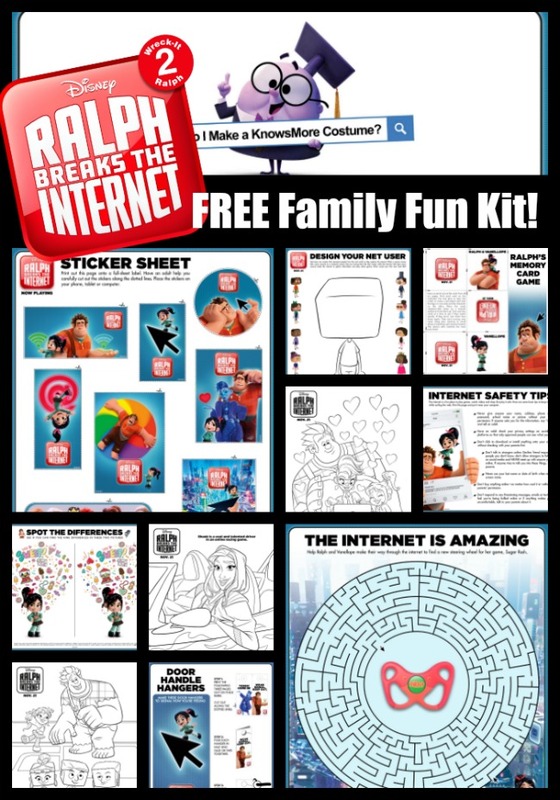 Wreck It Ralph Breaks the Internet Family Fun Kit! FREE! 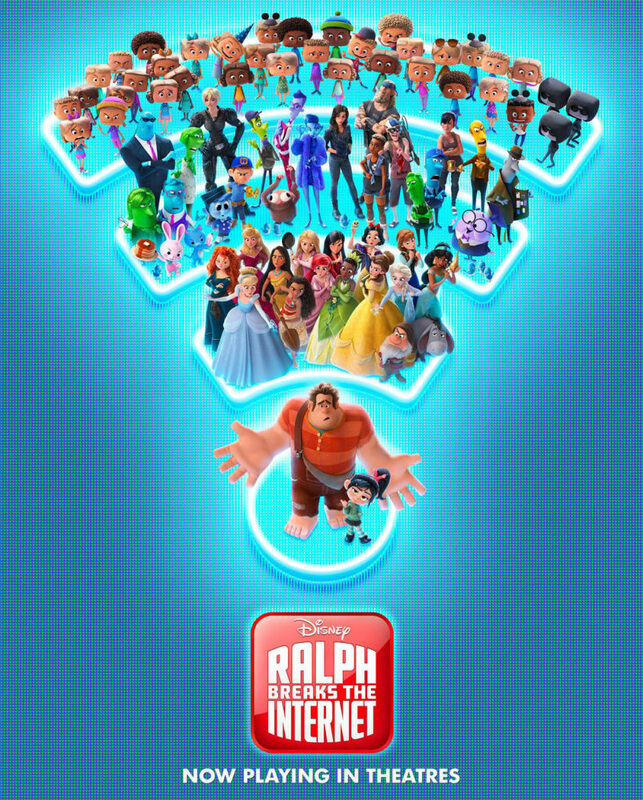 You are here: Home / Entertainment / Wreck It Ralph Breaks the Internet Family Fun Kit! FREE! This Thanksgiving Break we took the kids to see Wreck it Ralph Breaks the Internet movie. 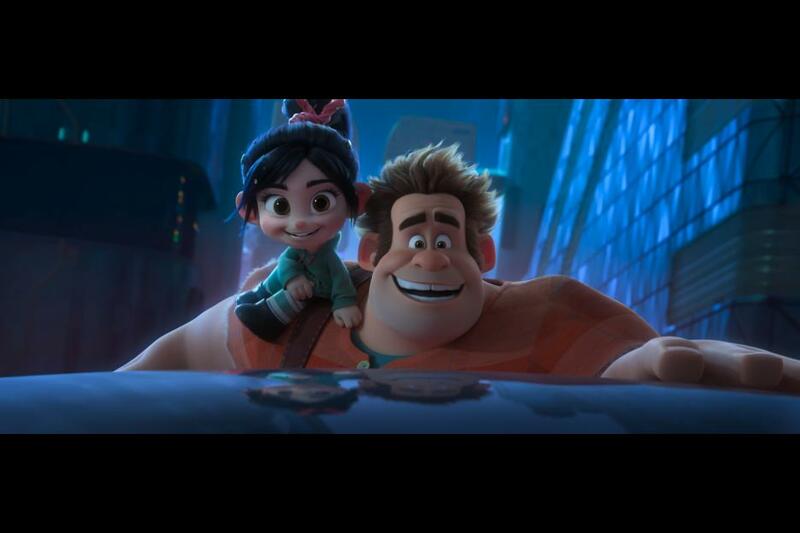 First, we had family movie night at home and watched Wreck it Ralph. This movie will always be one of our family favorites. We love video games, and the kids love spotting their favorite video game characters in the movie. I love that this isn’t a “love story” and the Disney Princess just might be the coolest one yet. Truly. 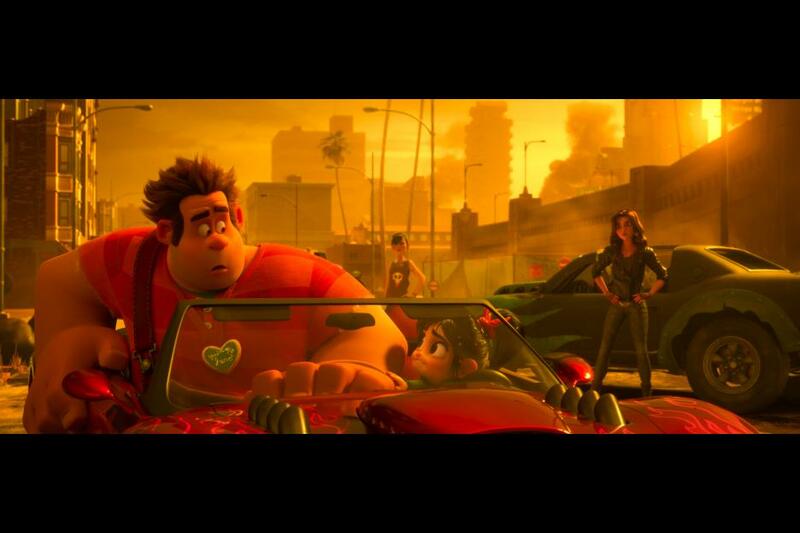 In RALPH BREAKS THE INTERNET, video-game bad guy Ralph and best friend Vanellope von Schweetz leave the comforts of Litwak’s arcade in an attempt to save her game, Sugar Rush. Their quest takes them to the vast, uncharted world of the internet where they rely on the citizens of the internet—the Netizens—to help navigate their way. Lending a virtual hand are Yesss, the head algorithm and the heart and soul of the trend-making site “BuzzzTube,” and Shank, a tough-as-nails driver from a gritty online auto-racing game called Slaughter Race, a place Vanellope wholeheartedly embraces—so much so that Ralph worries he may lose the only friend he’s ever had. The family fun kit includes these awesome printables for your family to enjoy. Here are the PDFs, FREE just for you! Best Family Movie Night Ever and Party Planning Tips Download the Cars 3 Halloween Fun Kit for the Kids! Kids Fun: DIY Museum All About You Norm of the North Blu-ray and Free Fun!